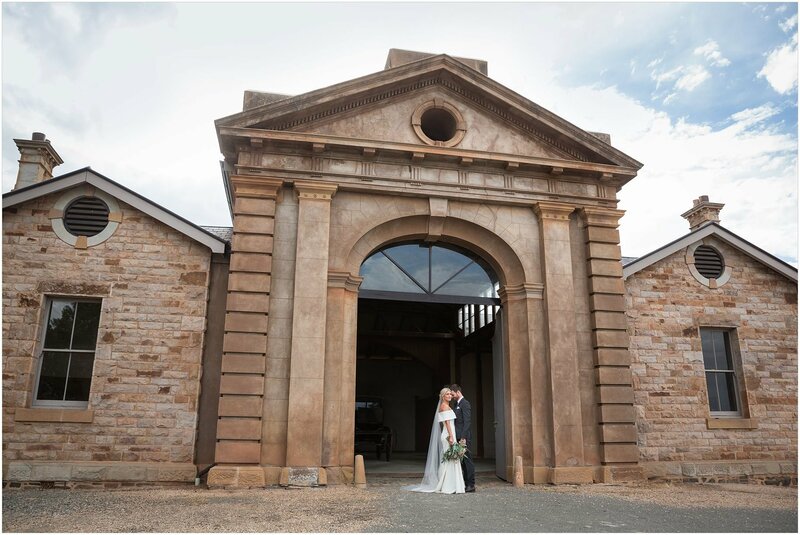 Sarah and Benn become husband and wife in romantic style in front of the gorgeous Martindale Hall. 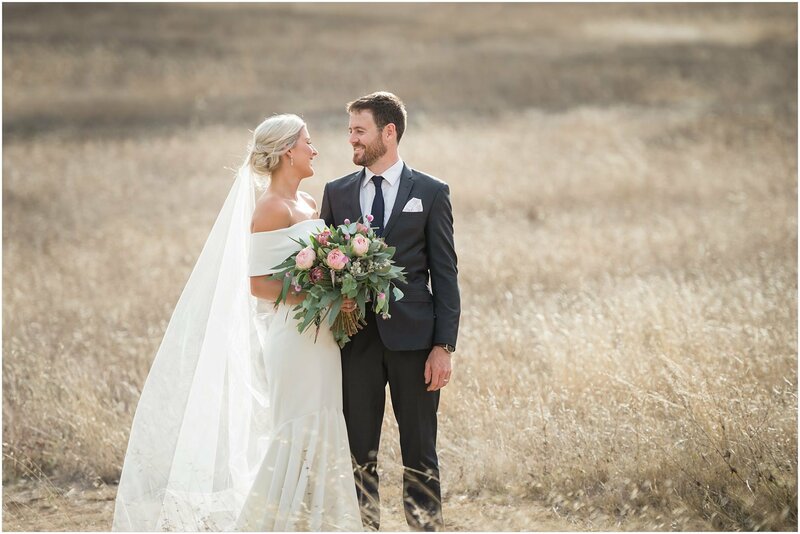 Every moment and every detail were just perfect. 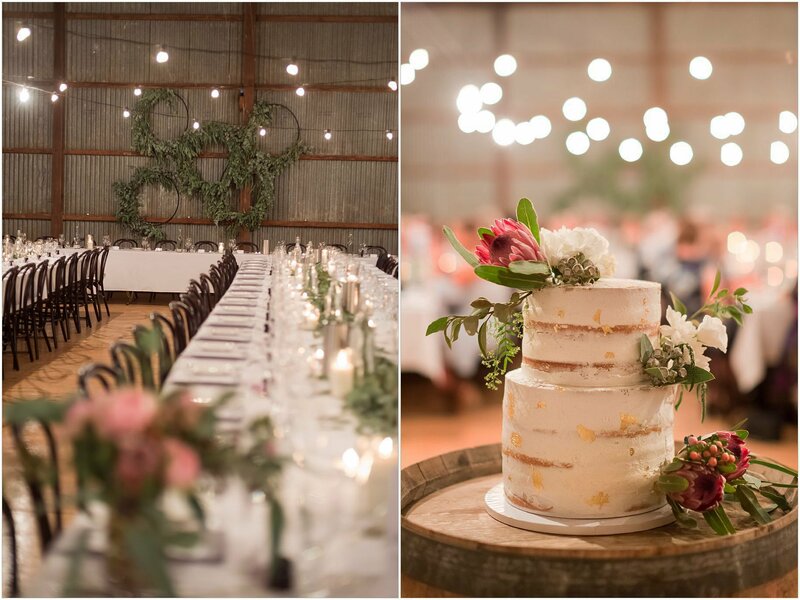 All of the locations offered a backdrop of rustic, country, glamour’s tranquility which is my absolute fav. 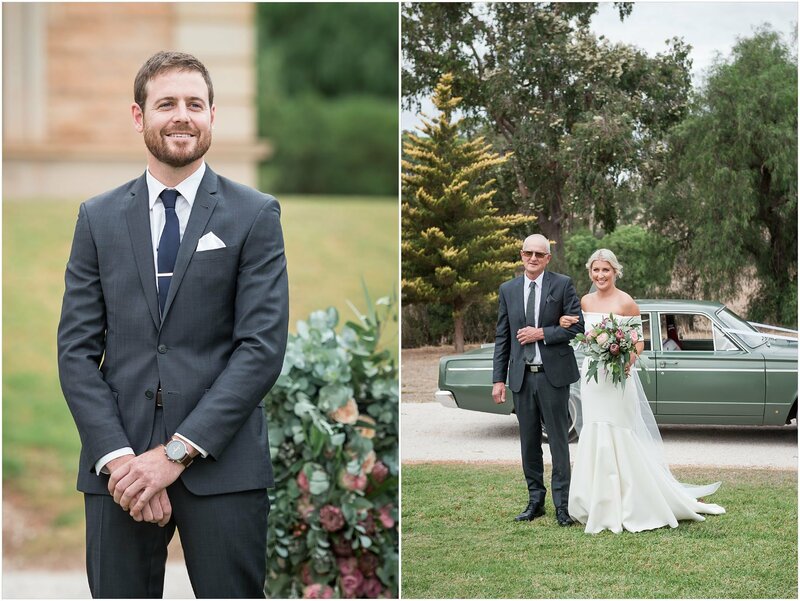 Sarah was effortlessly stunning all day and Benn was a handsome true gentleman. 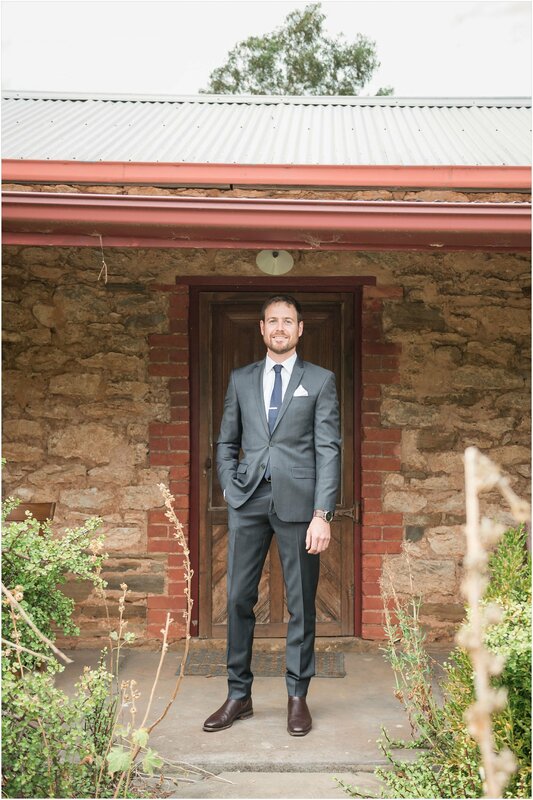 “I first saw Benn in a home movie that my brother and his mates made when they were at school at Urrbrae. 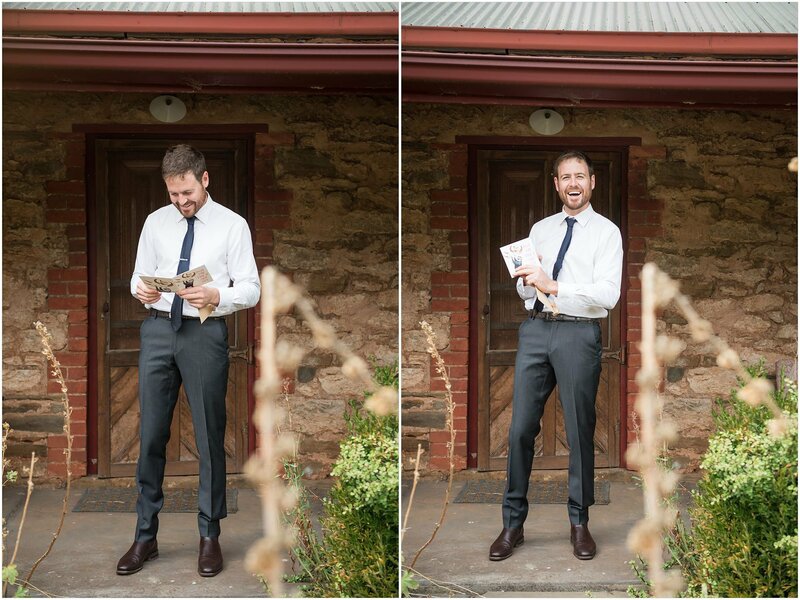 Benn was one of my brothers friends, and I though that he was pretty cute. 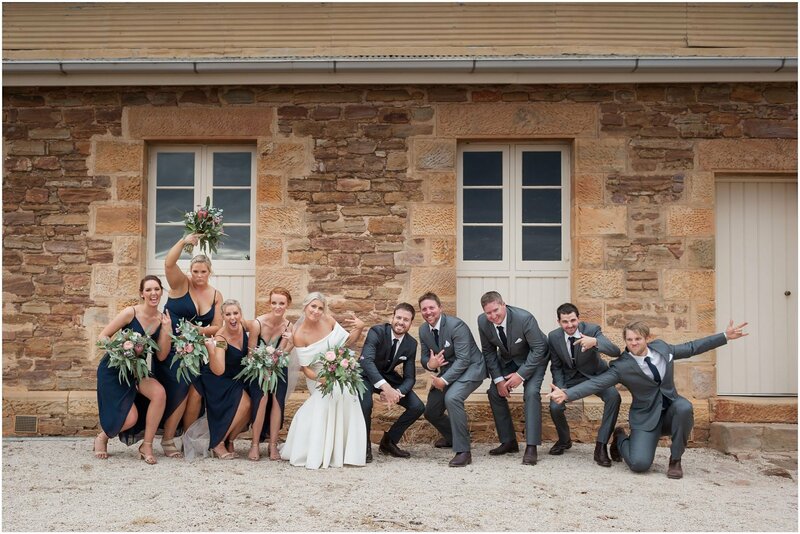 This was back when I was still in Year 9 and Benn as in Year 12. 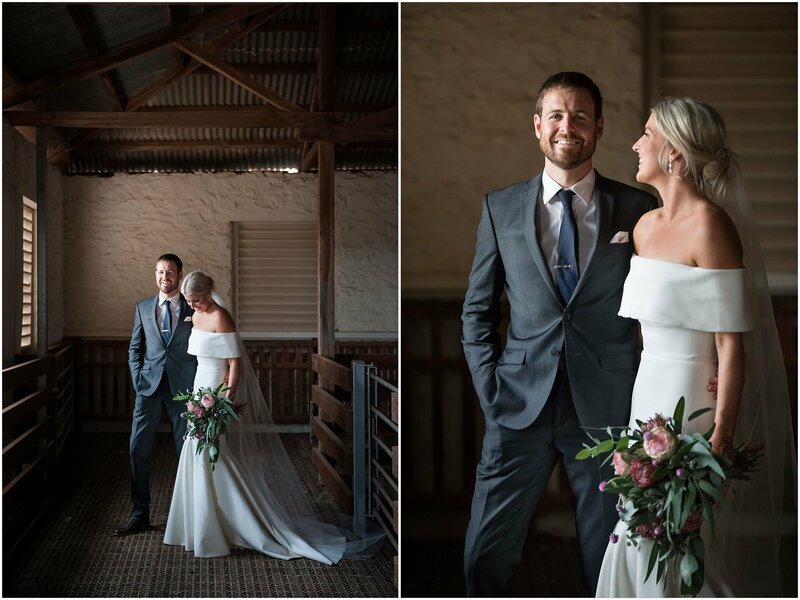 It wasn’t until years later that we saw each other at the Clare races (classy) and got talking. 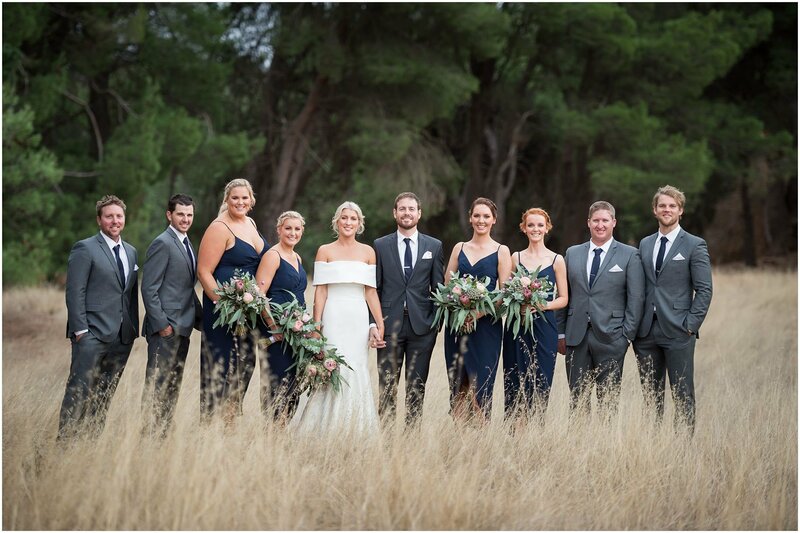 The next year at the Clare races, we bumped into each other again, and basically spent the whole day hanging out together with my brother and Benn’s friends. 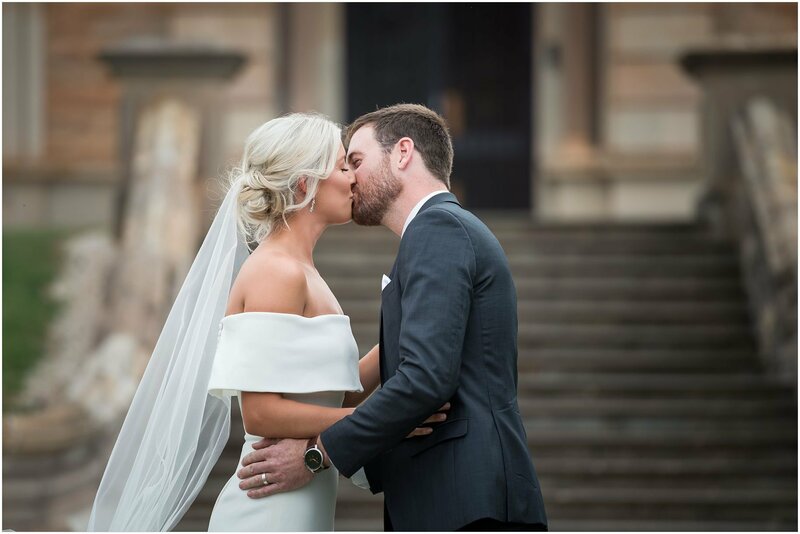 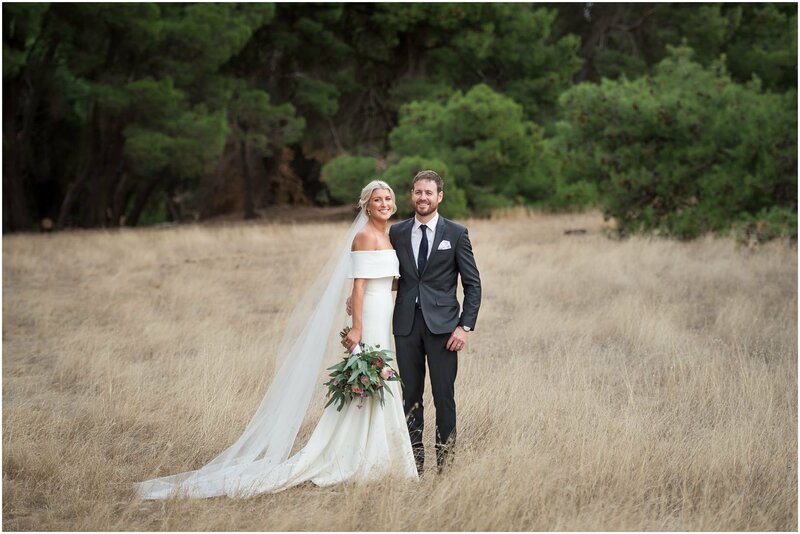 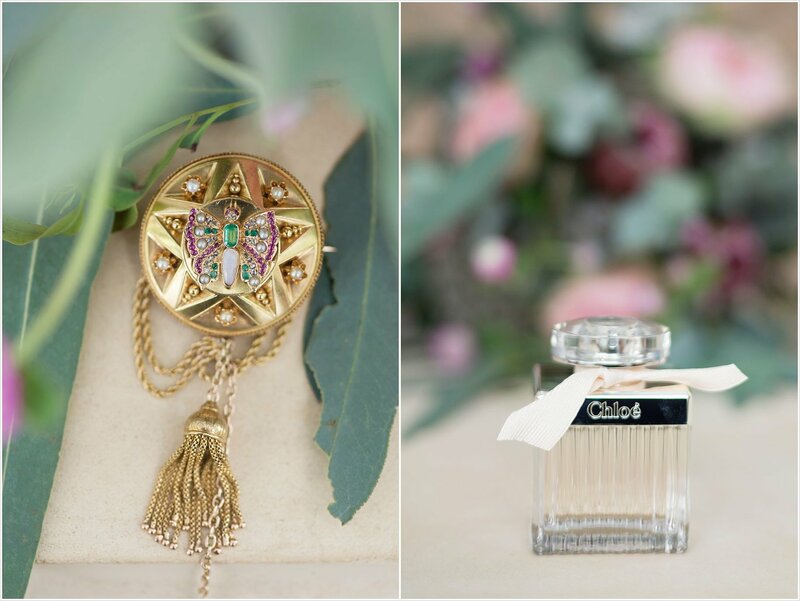 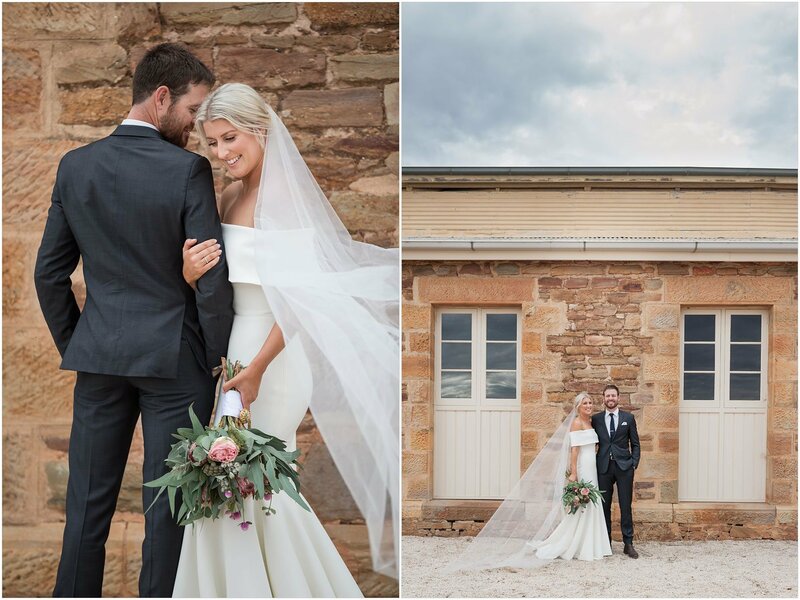 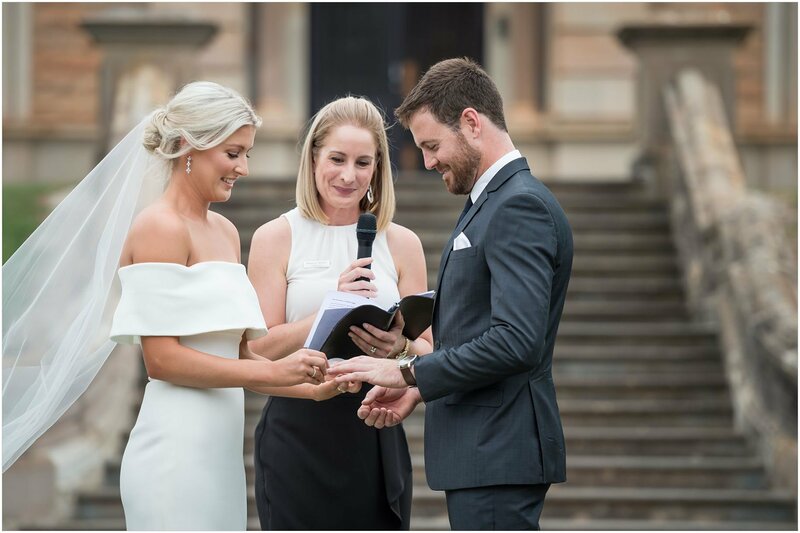 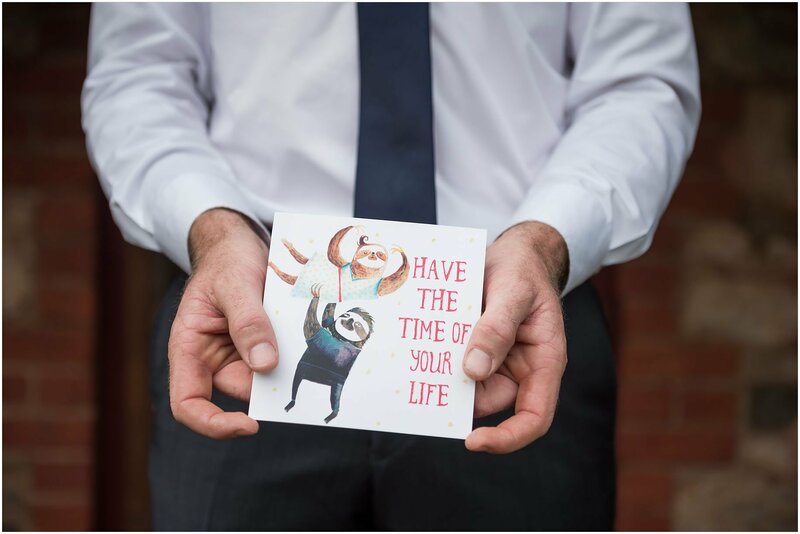 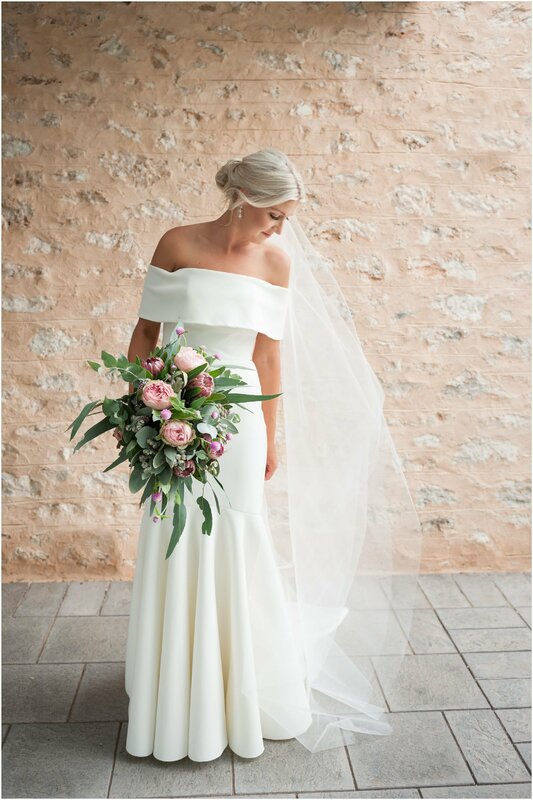 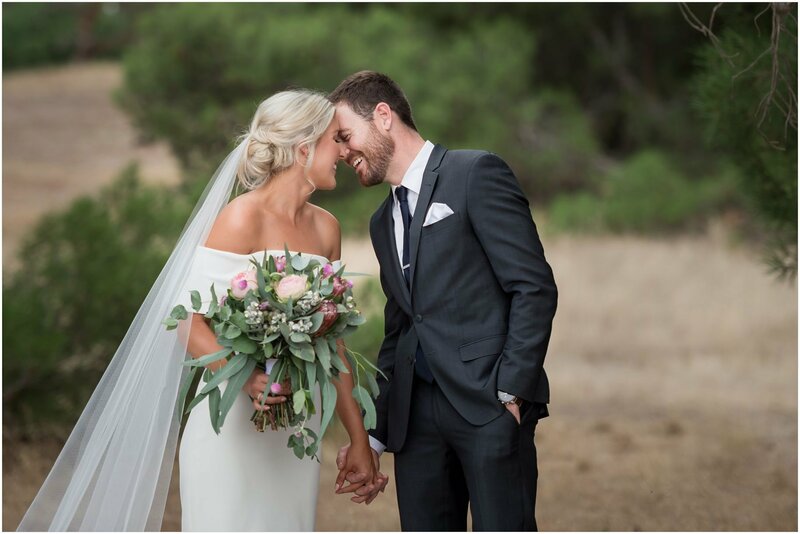 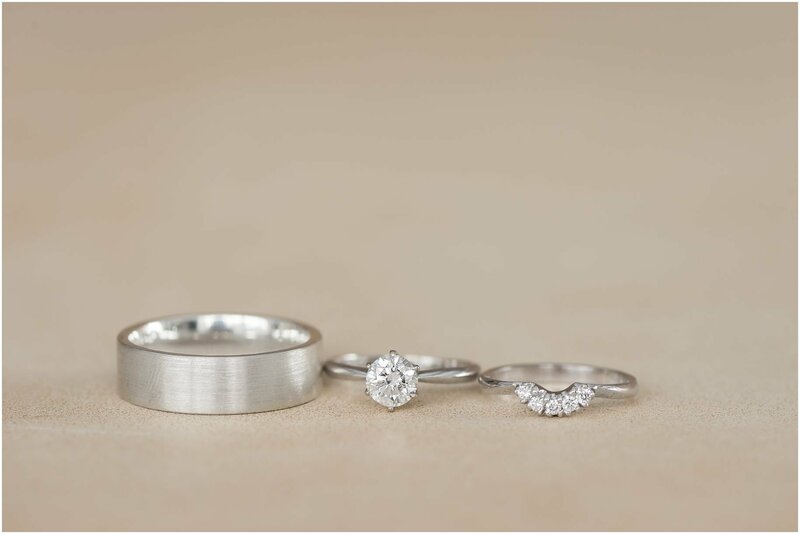 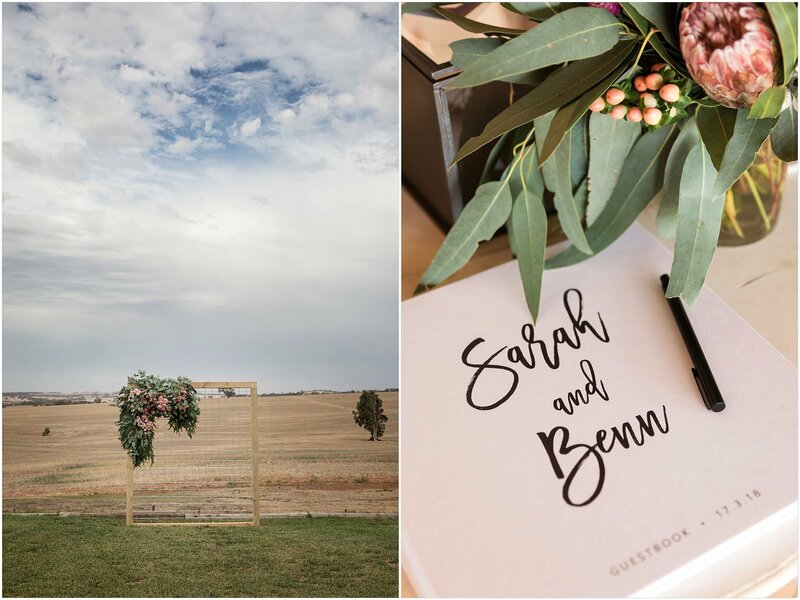 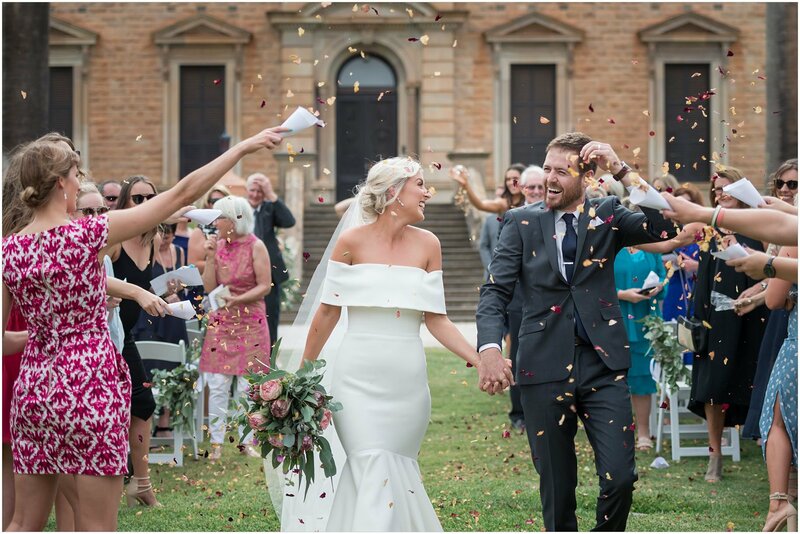 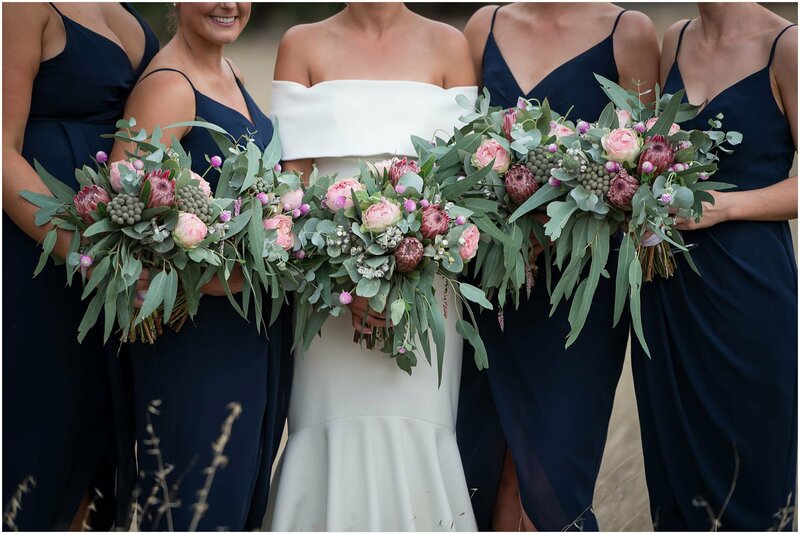 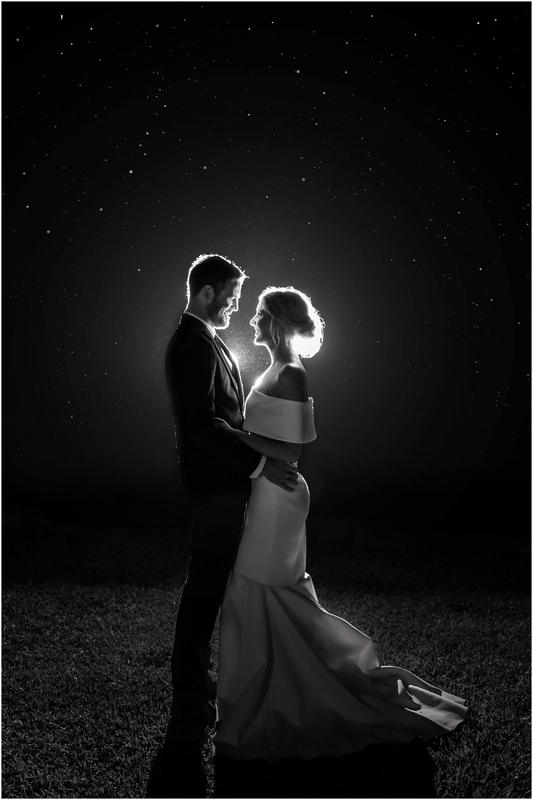 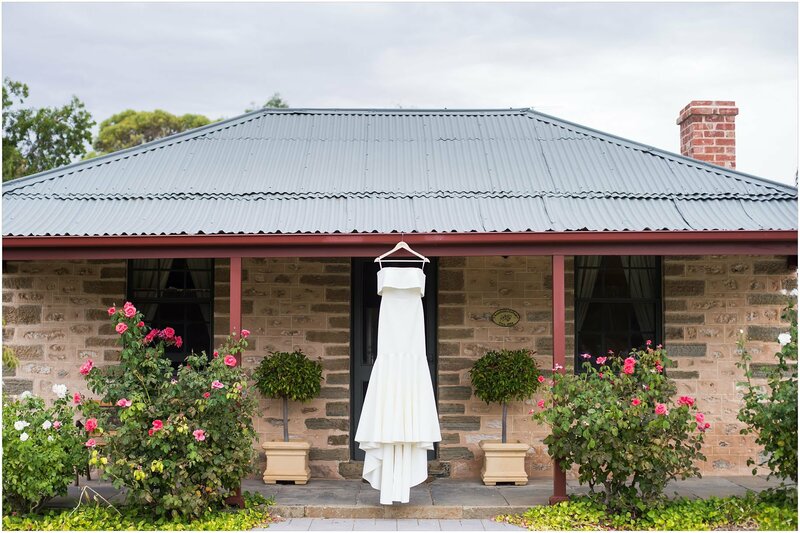 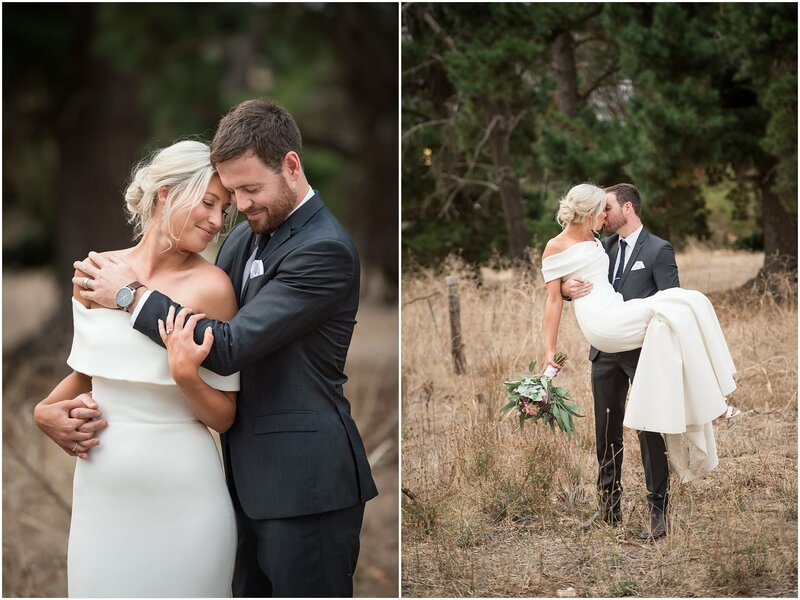 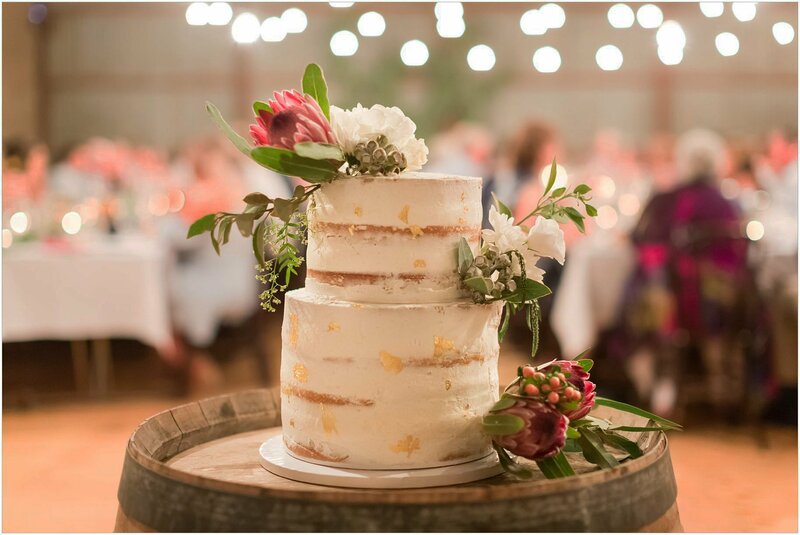 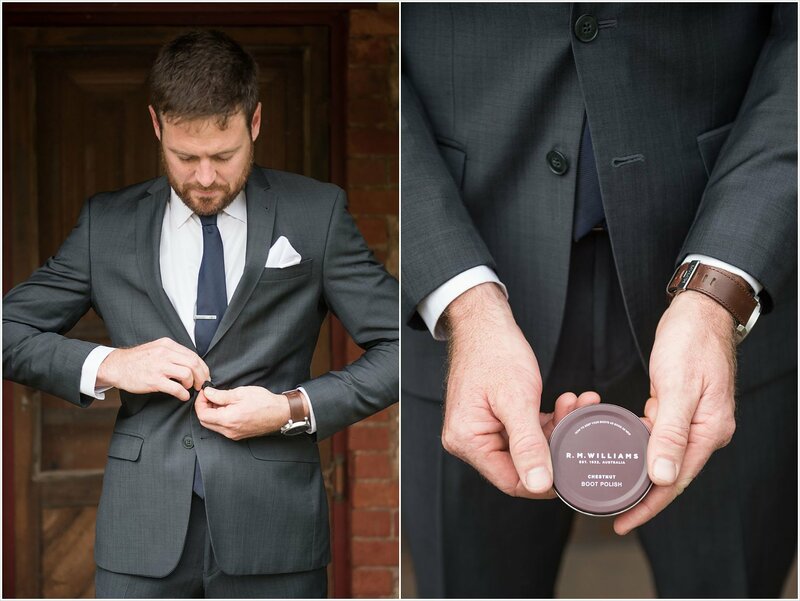 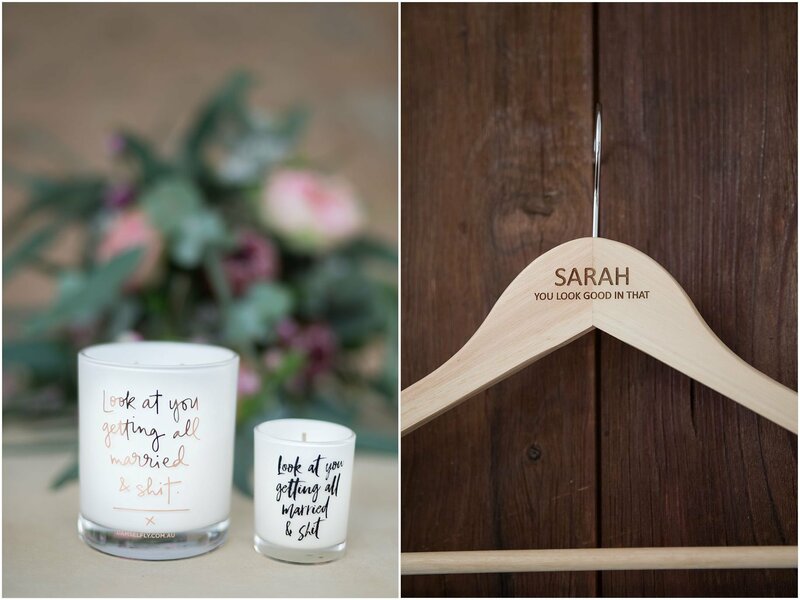 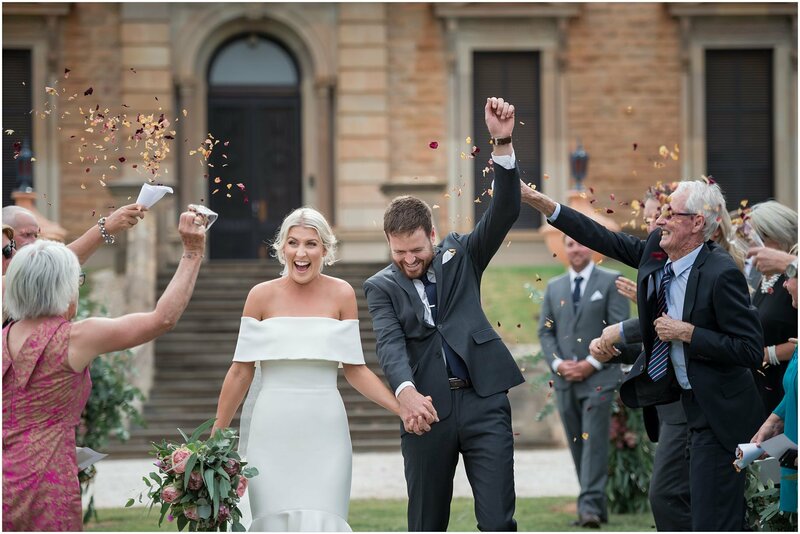 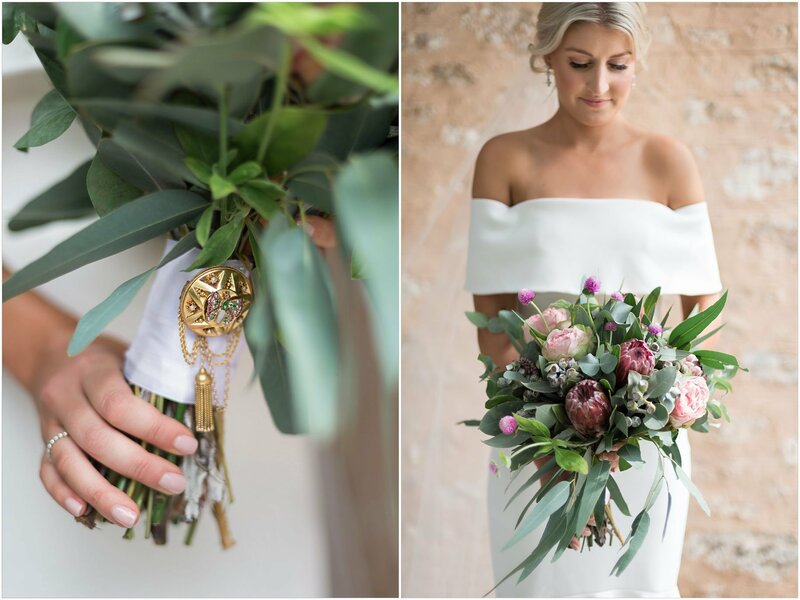 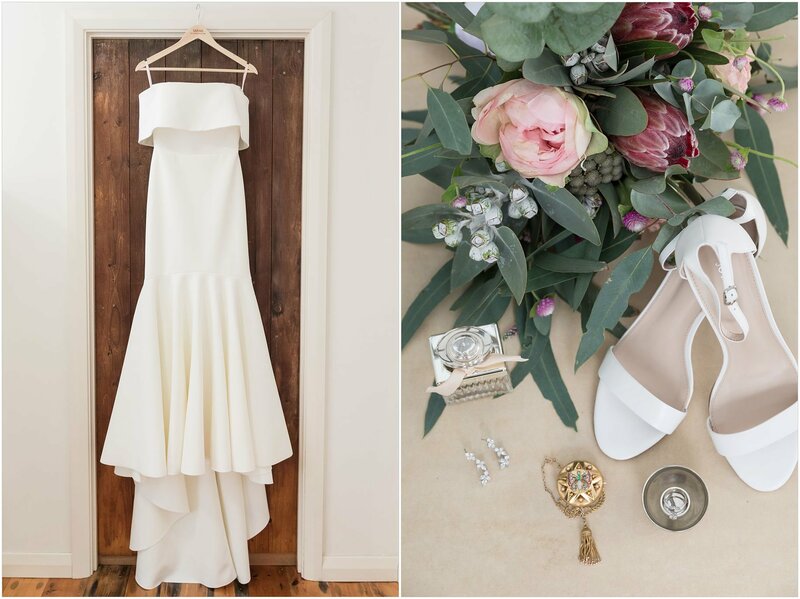 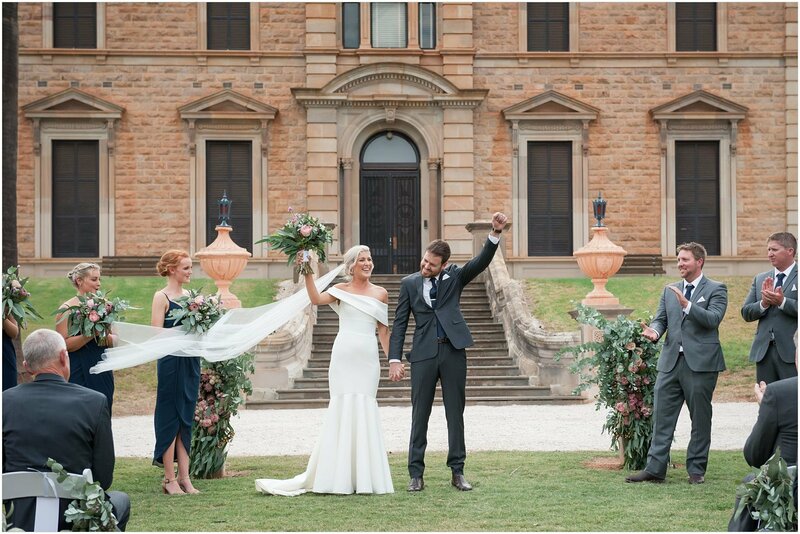 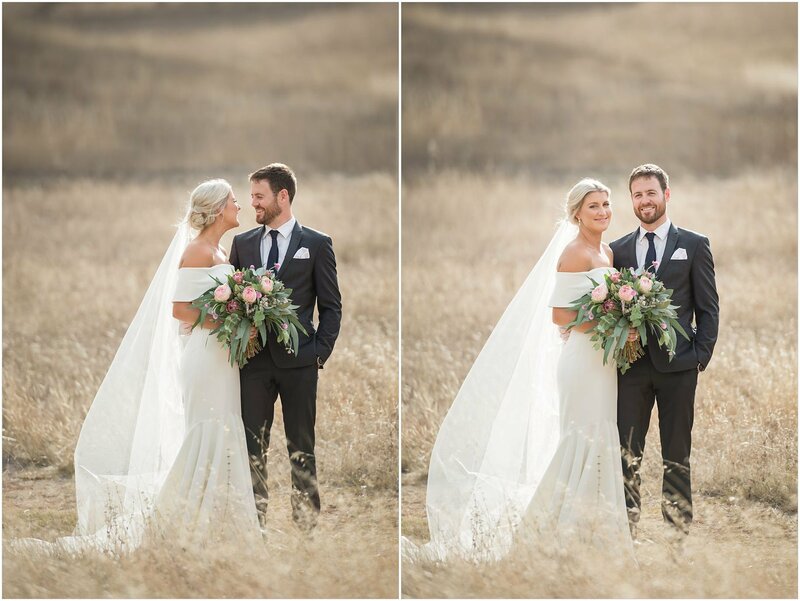 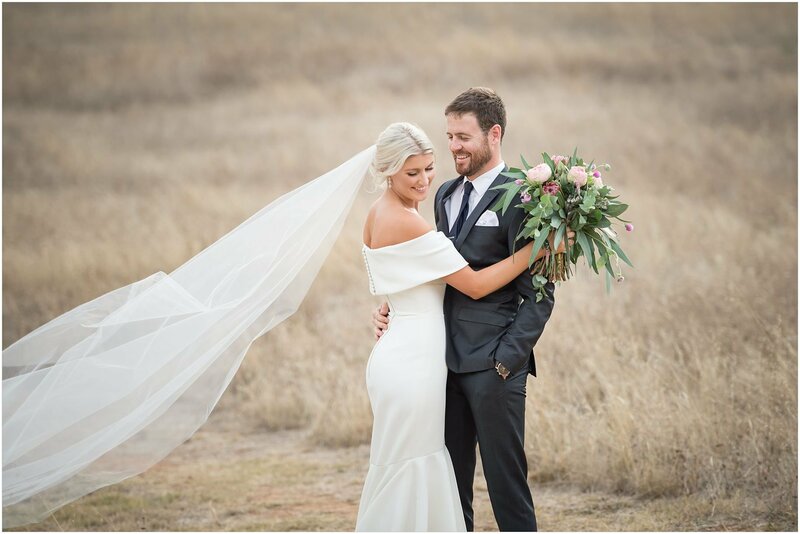 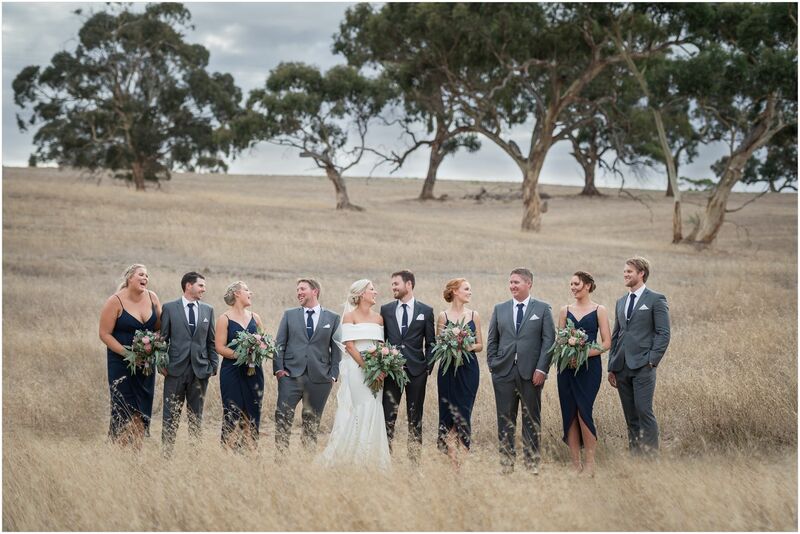 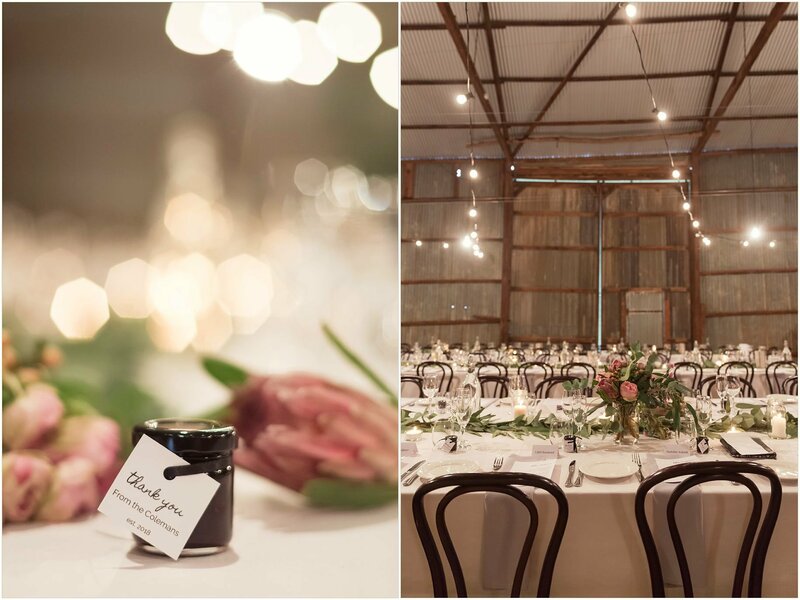 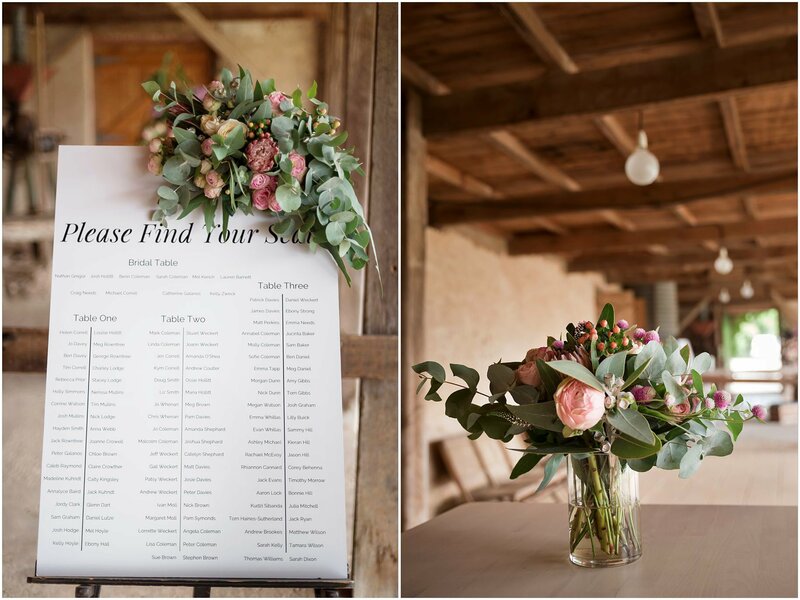 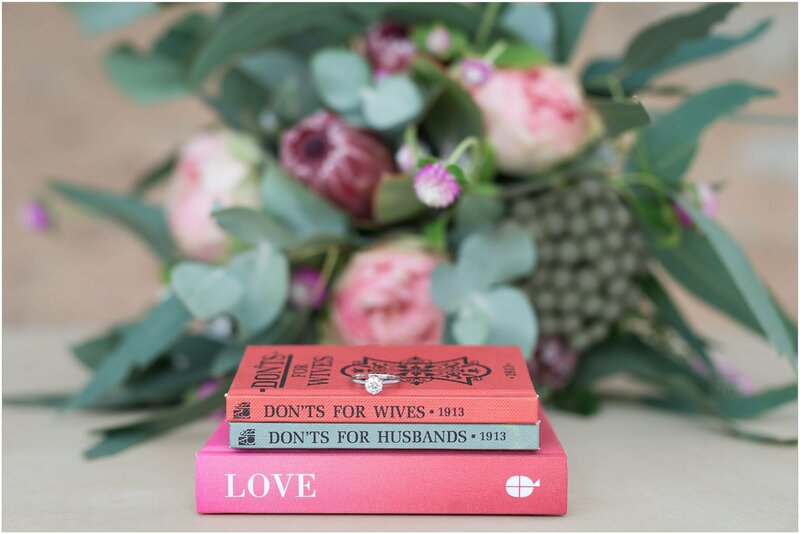 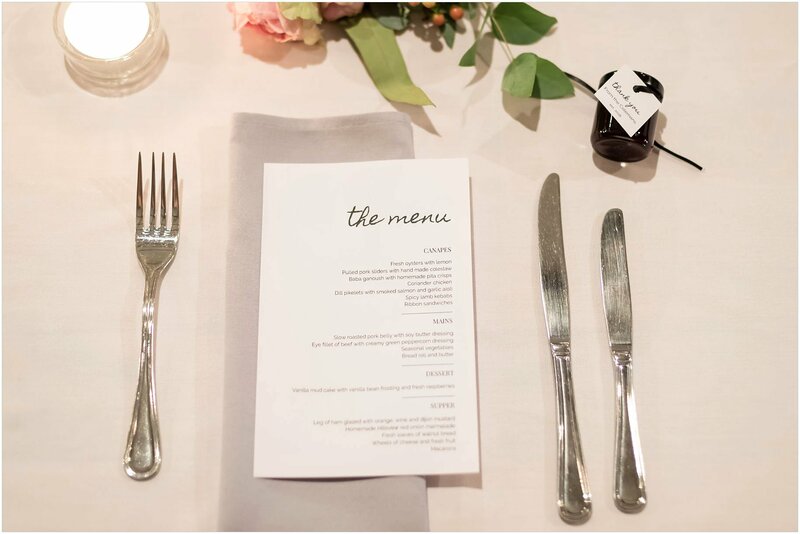 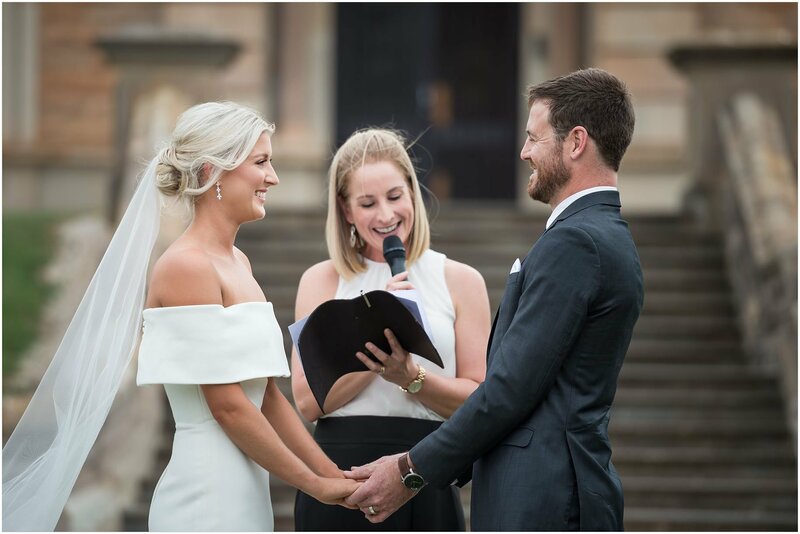 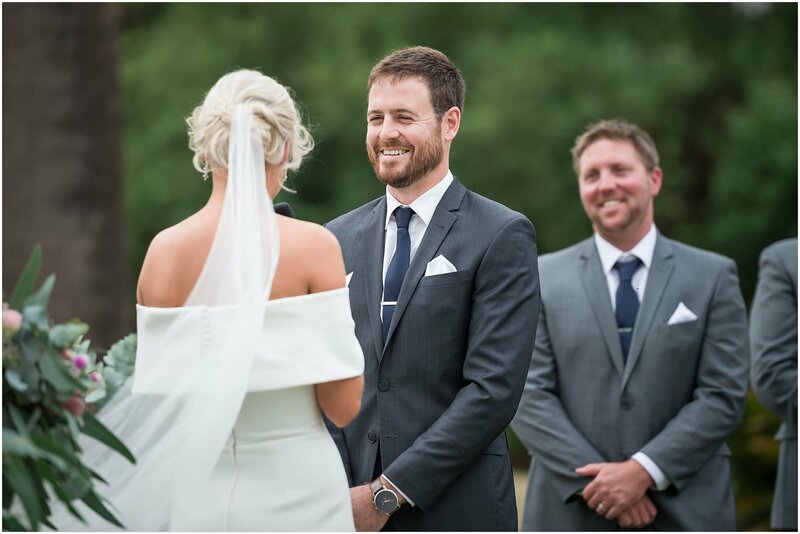 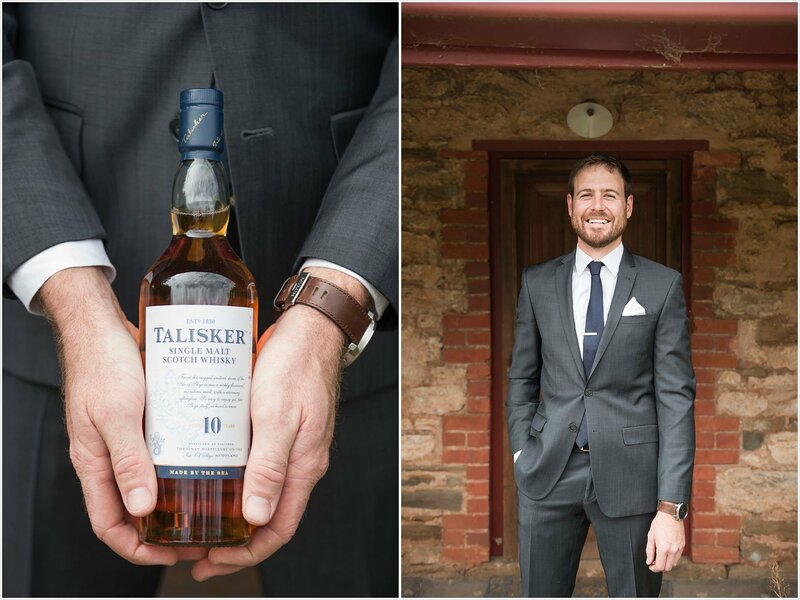 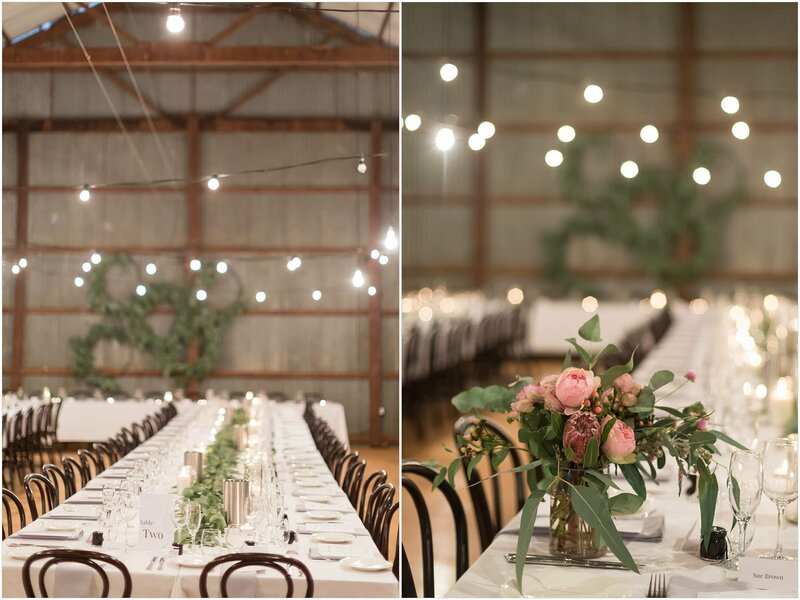 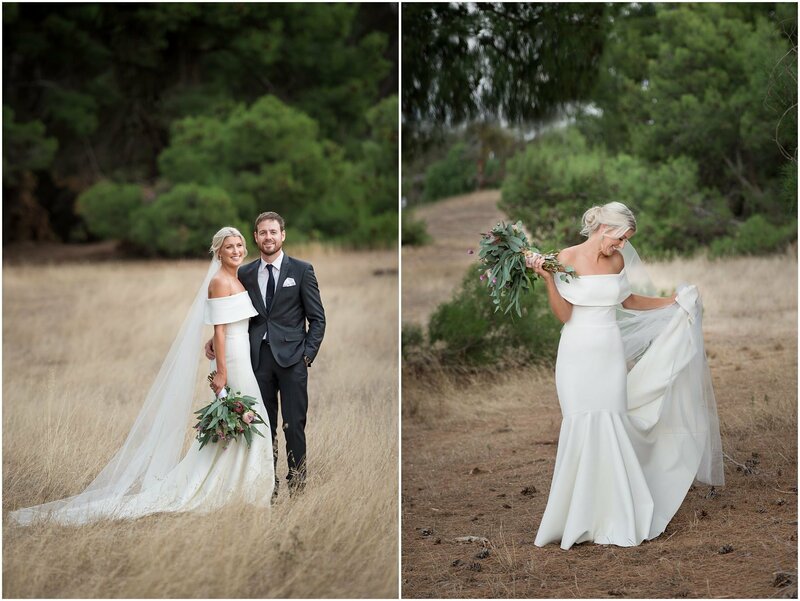 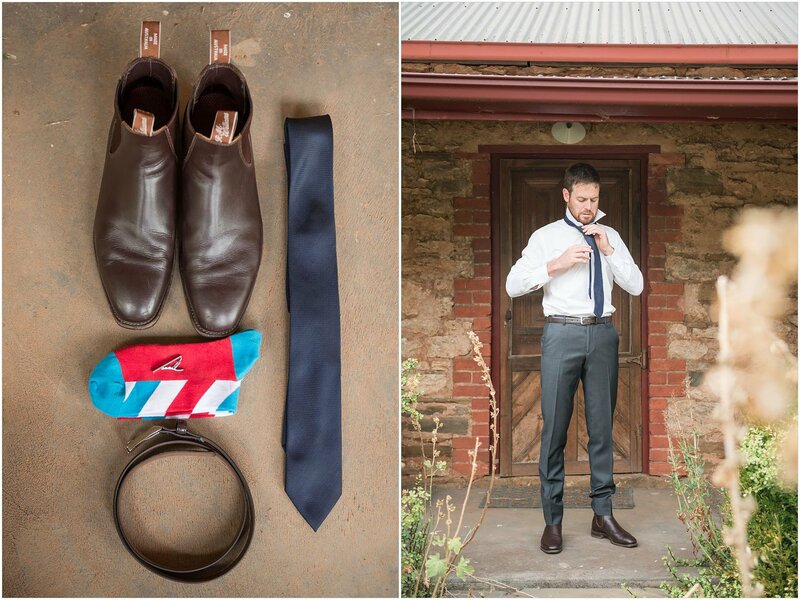 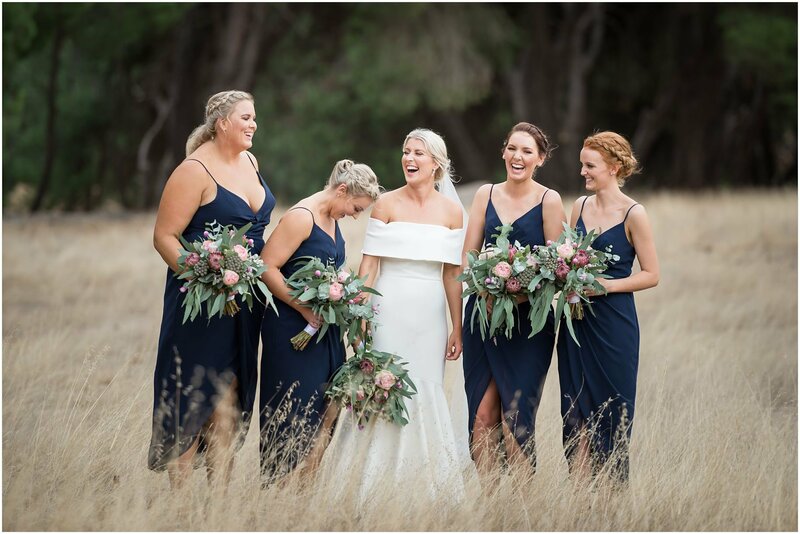 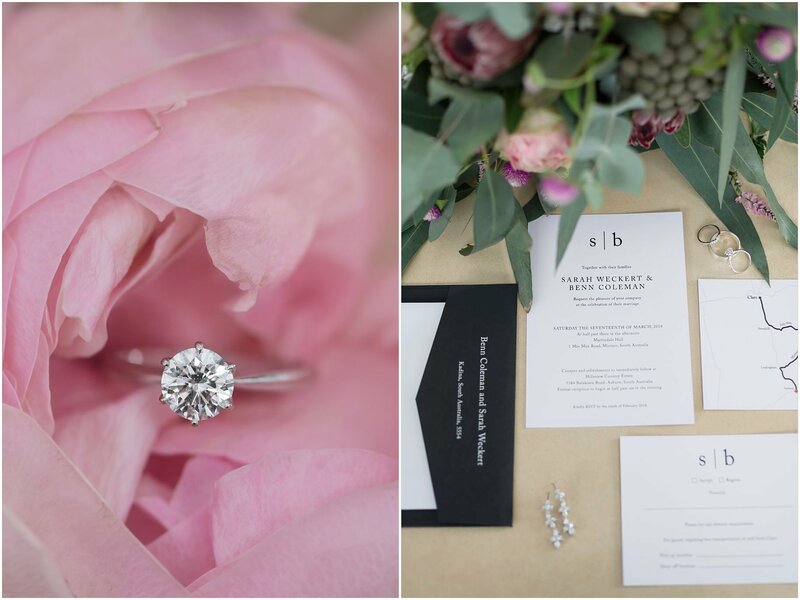 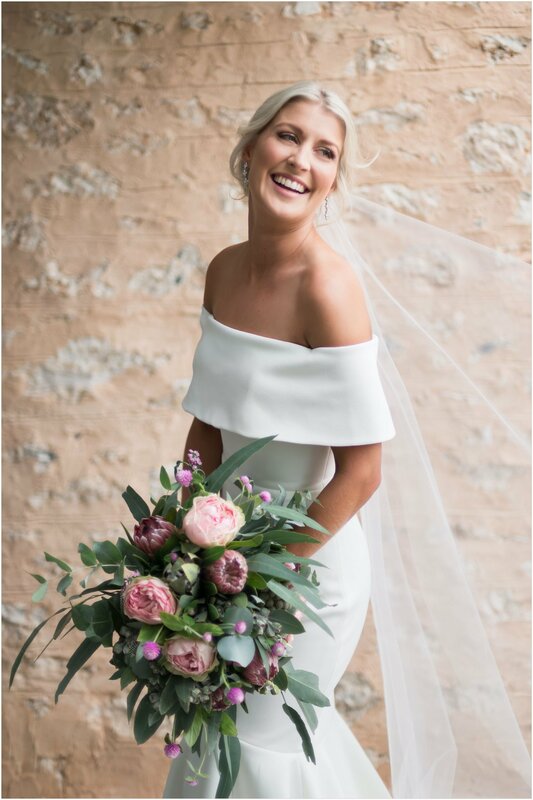 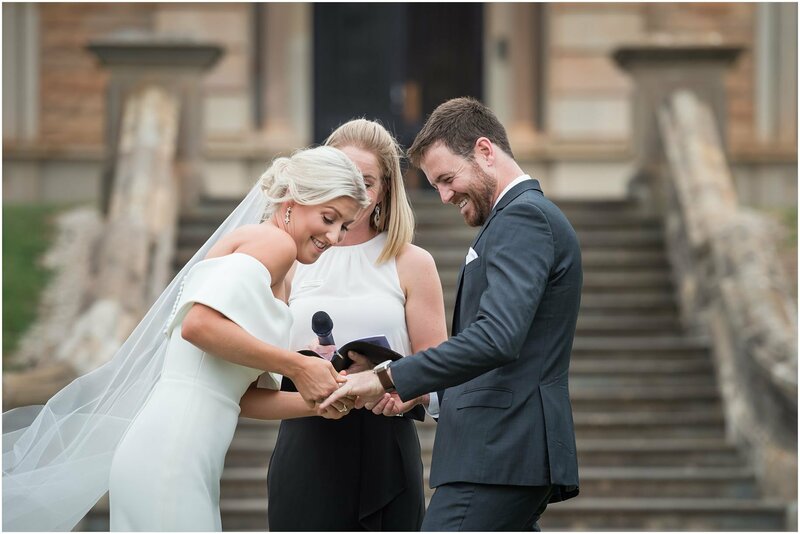 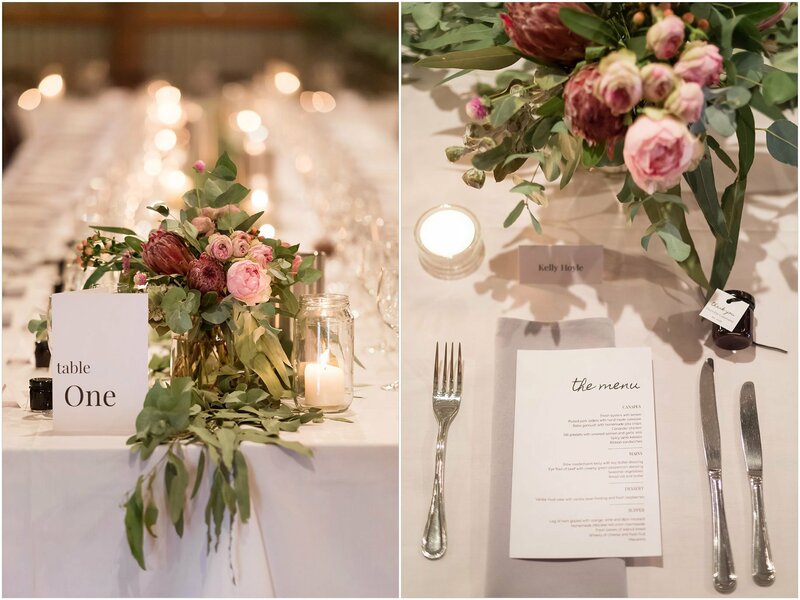 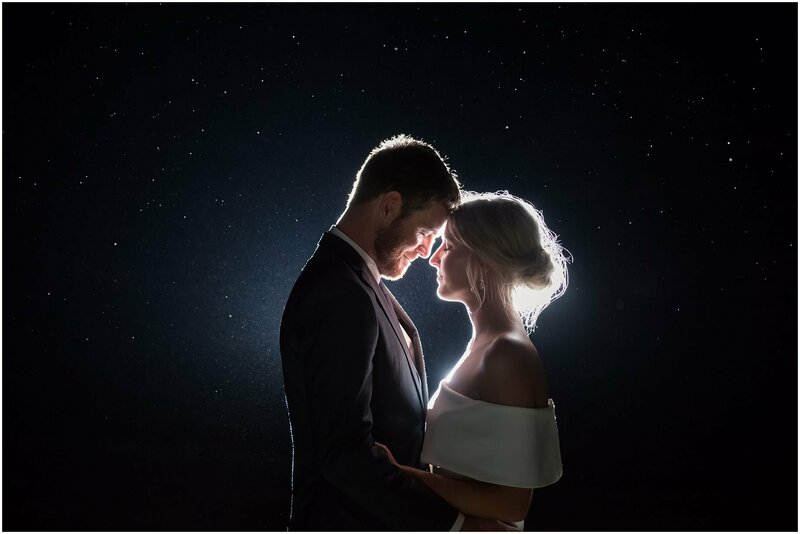 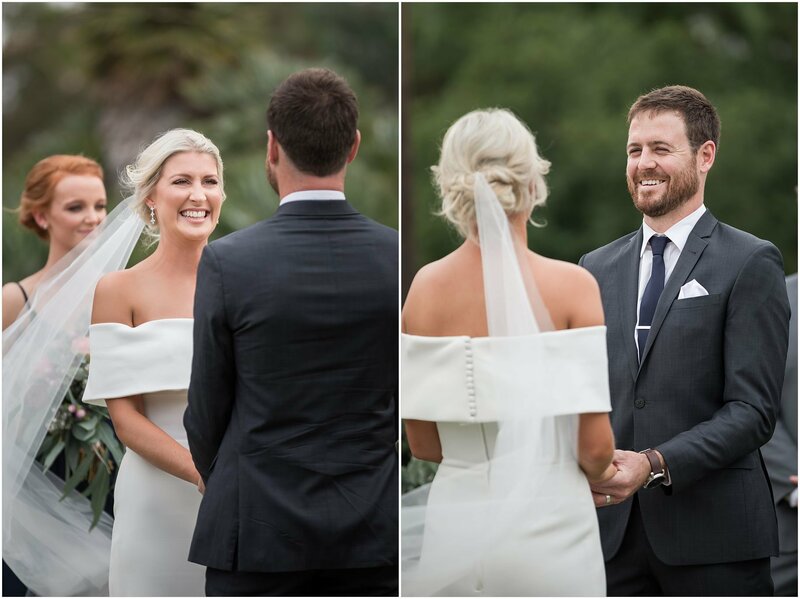 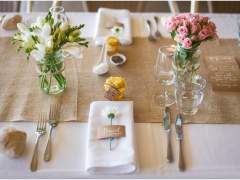 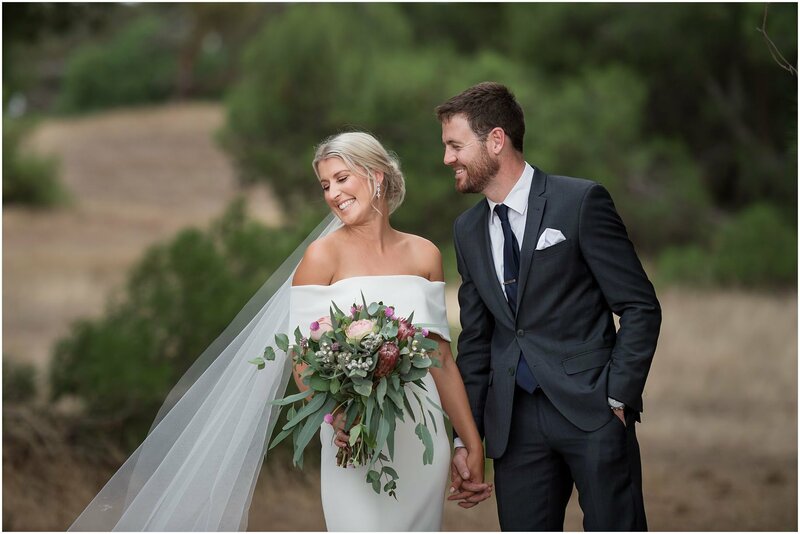 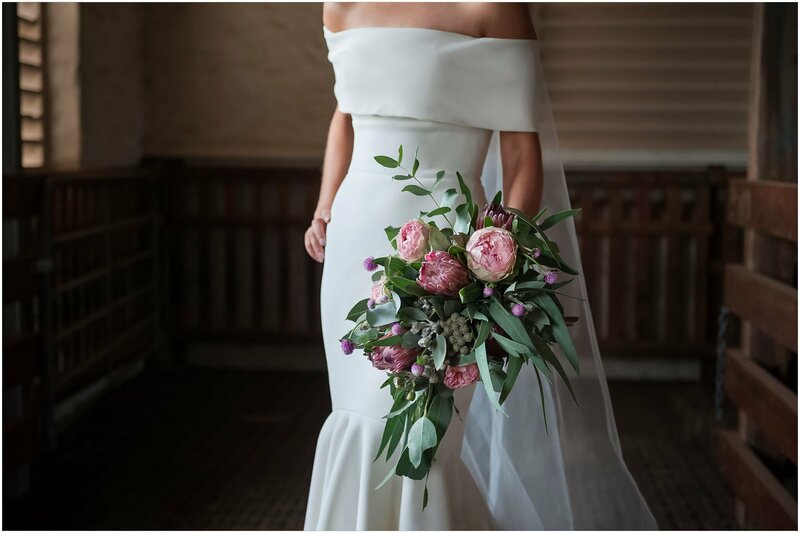 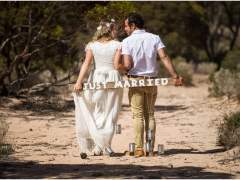 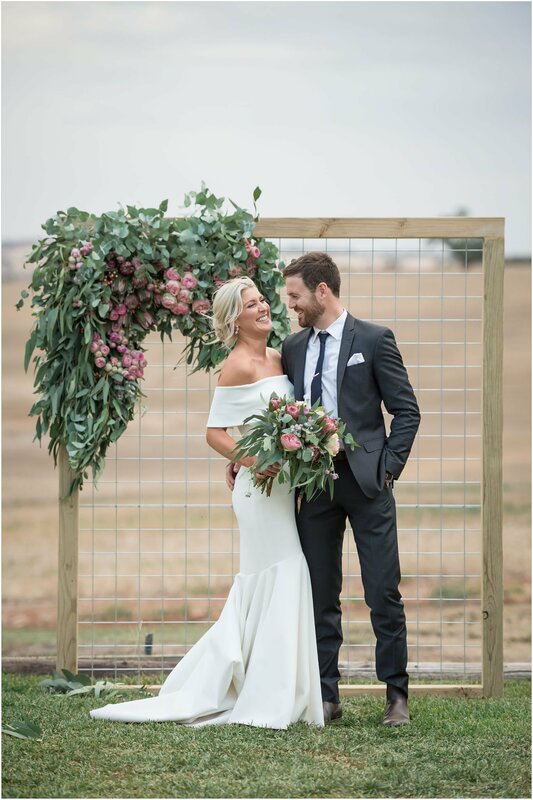 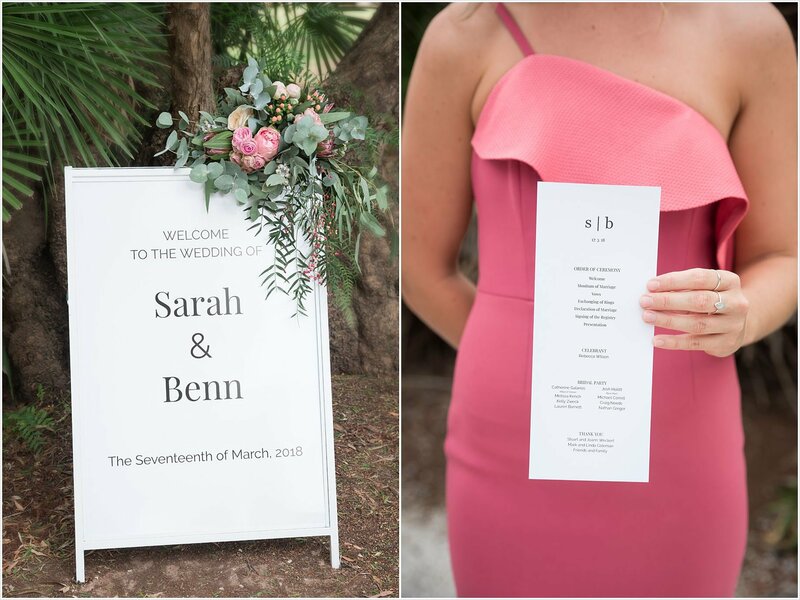 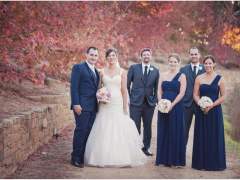 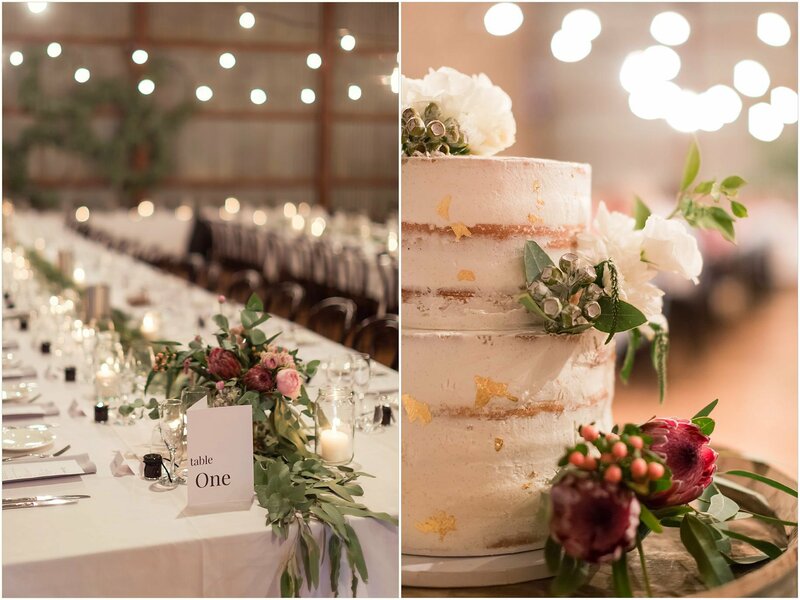 I asked Sarah what special touches they had added in to their wedding (and I can say how much love I have for the response) – “We have tried to keep all of our vendors local to showcase the beauty of the Clare Valley and all that it has to offer. 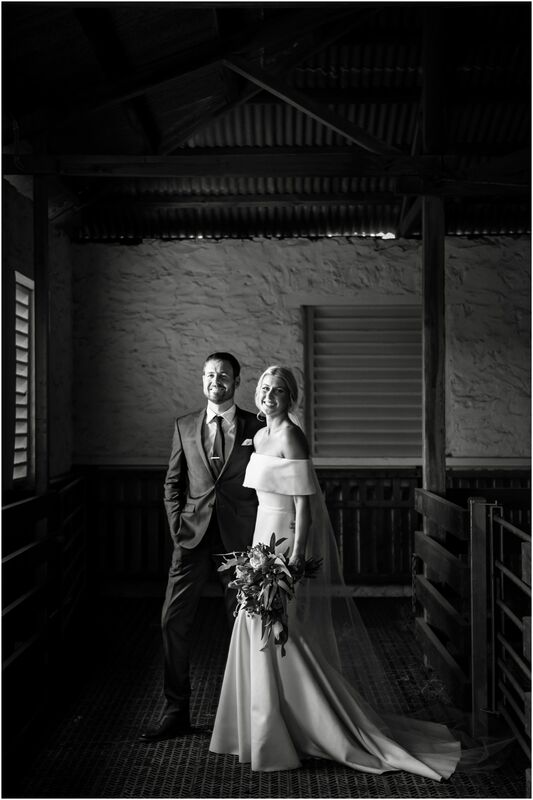 The videographer is a primary school friend of Sarah’s and is the son of the current caretakers of the Hall. 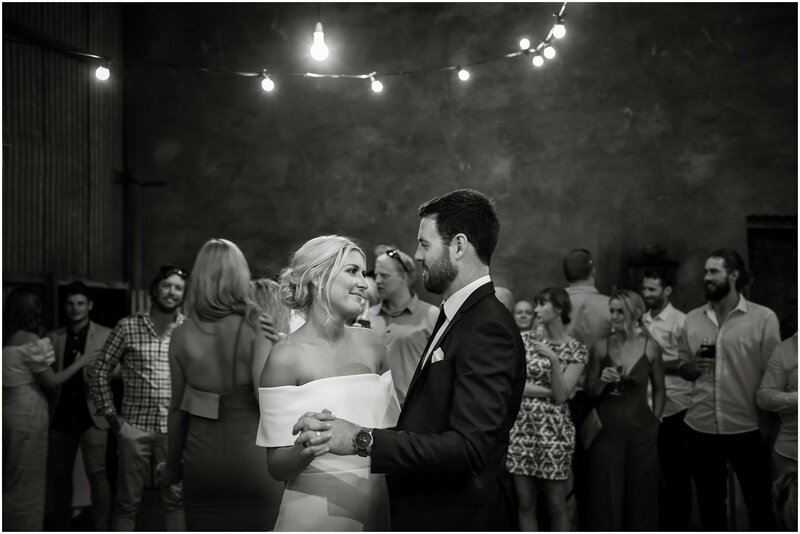 The entertainment (Brad Bryksy Music) is also an old friend of Sarah’s. 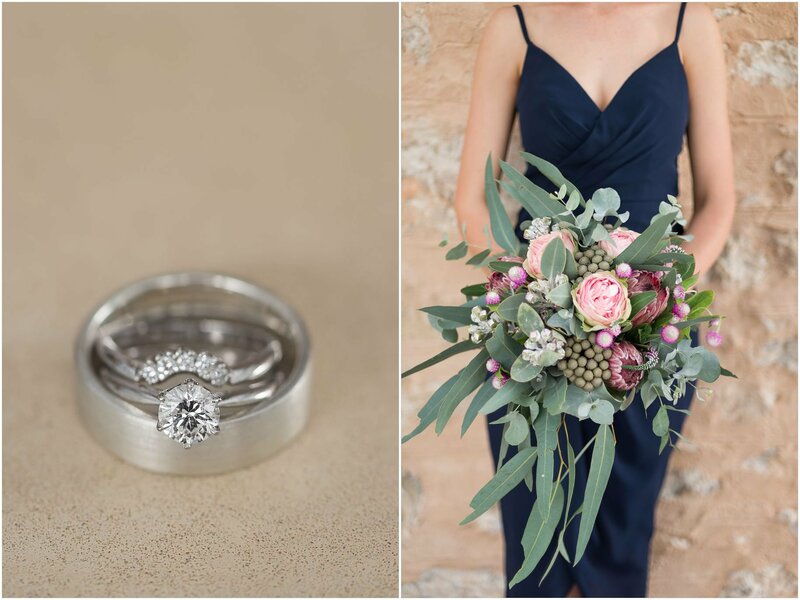 There are a lot of sentimental elements to the day. 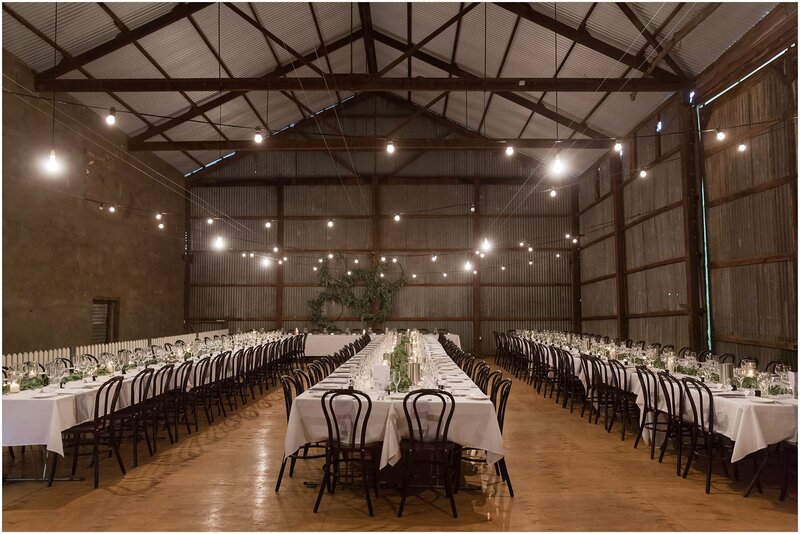 The location of the ceremony is very sentimental to me (Sarah) as I grew up on the farm that surrounds the Hall. 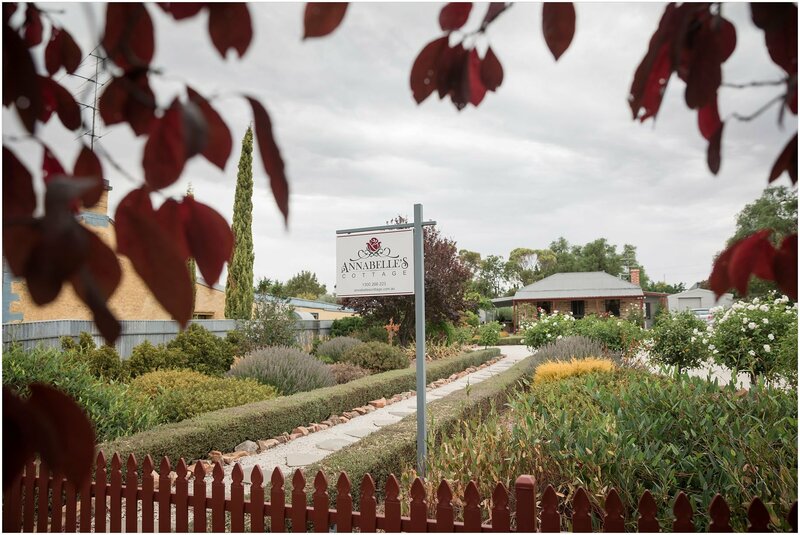 I spent my childhood visiting the Hall, riding motorbikes with my brother to the creek that runs past the Hall, having bbq’s down at the creek, going to the Hall on school visits etc. 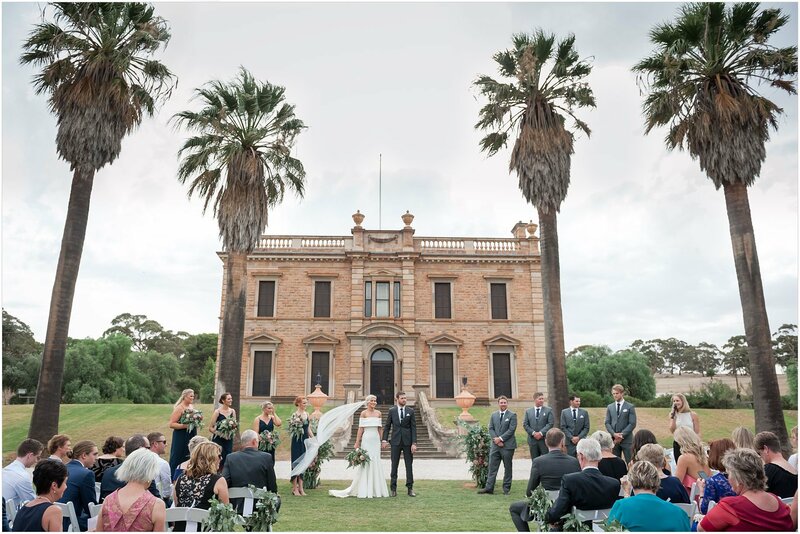 It holds a very significant place in my heart, and has always been my dream to get married there. 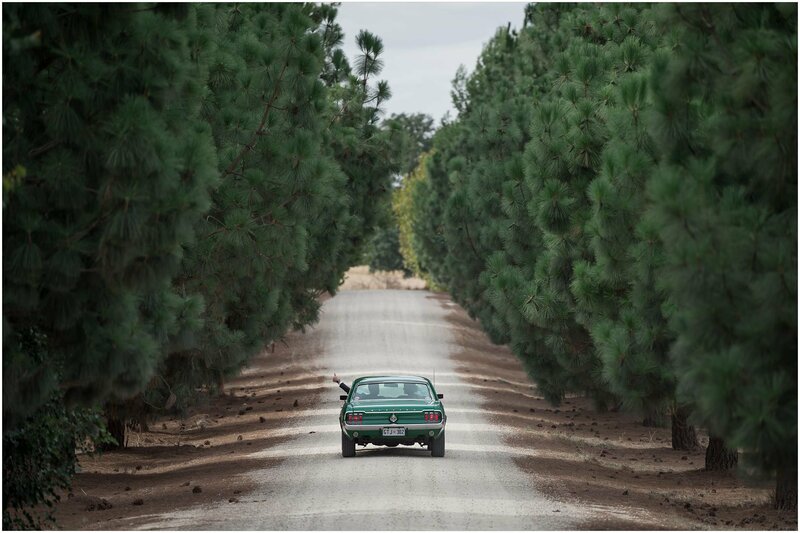 The car that I (Sarah) will arrive in belonged to my Great Grandmother, and is now owed by my brother. 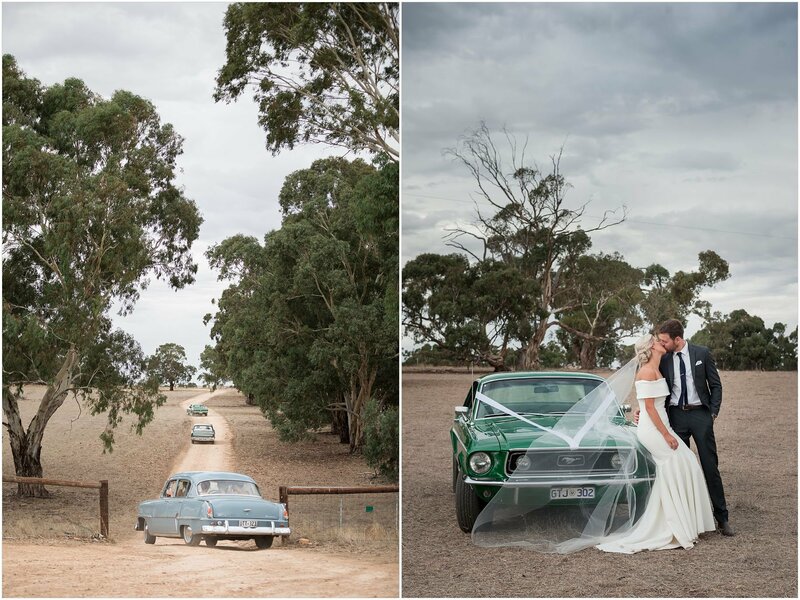 The mustang that Benn and I will leave the wedding in and arrive to the reception in belongs to Benn’s father Mark. 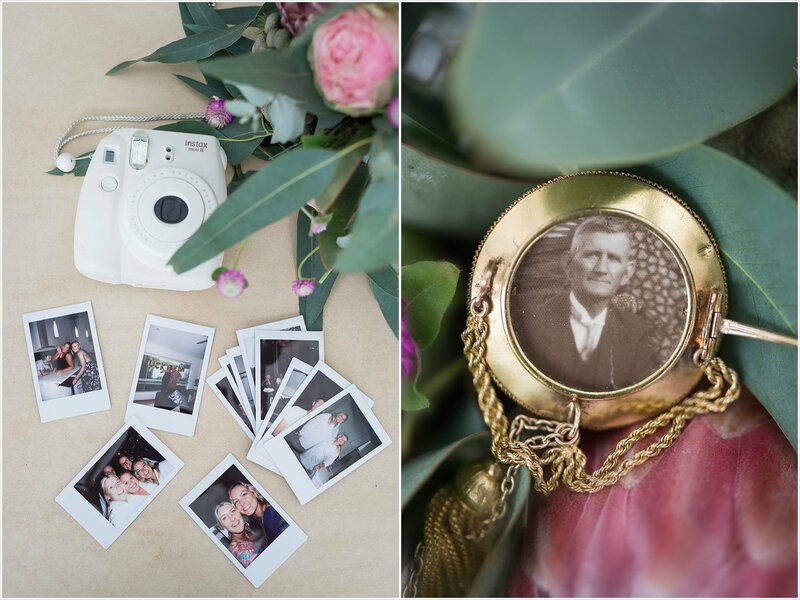 The brooch that I will wear on my bouquet has quite a bit of family significance. 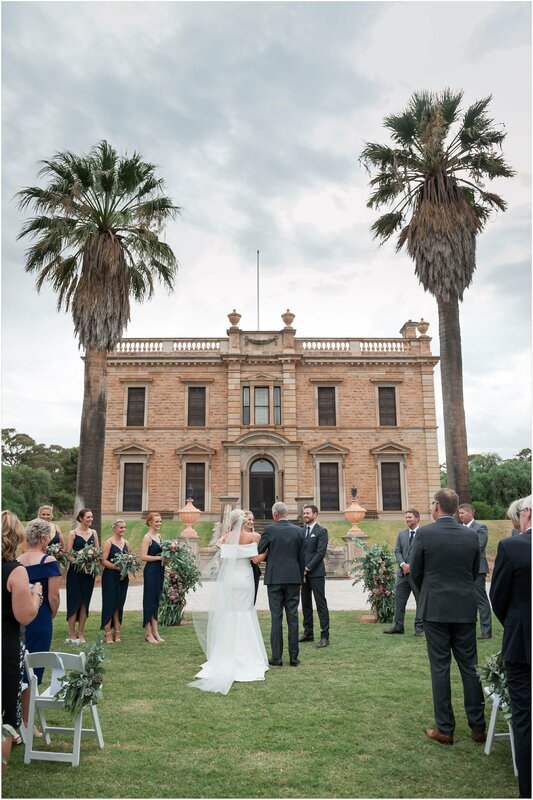 It was originally given to Margaret (Maggie) Parks on her wedding day by her husband Adam Lindsay Gordon. 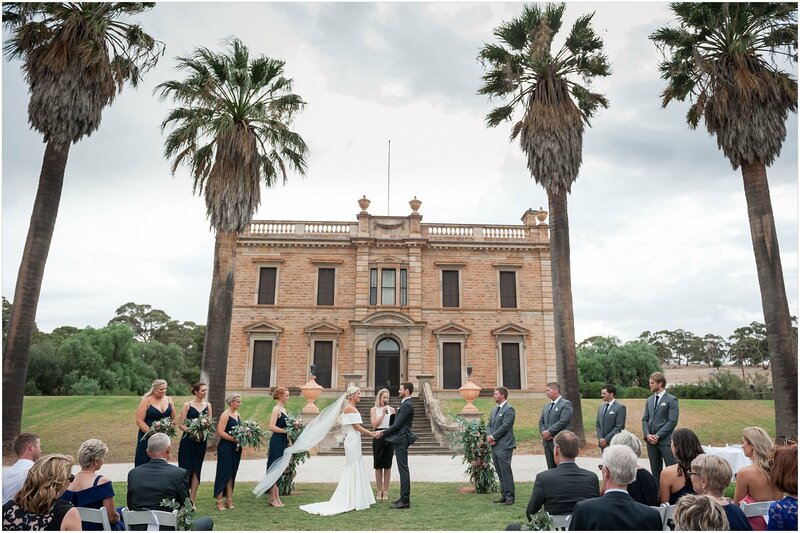 Adam was a famous Australian poet, and is the only Australian to have his bust in the poets corner of Westminster Abbey. 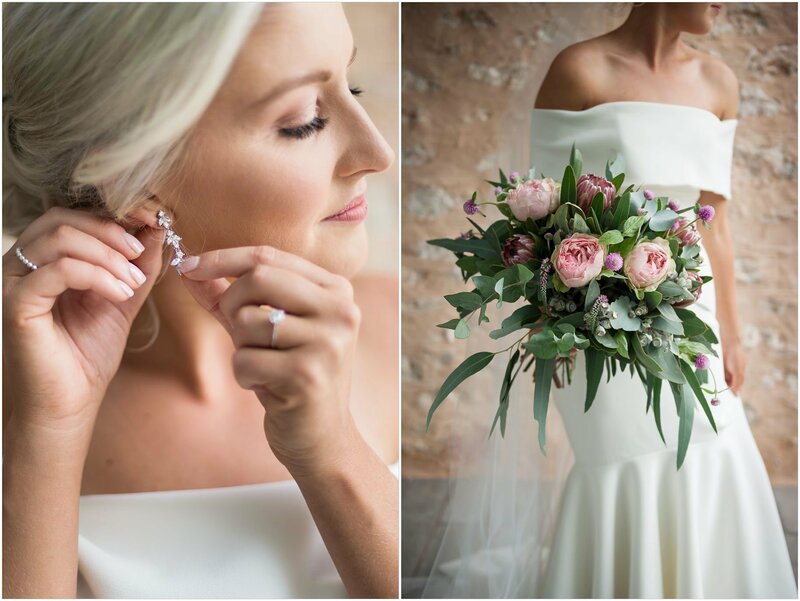 The tradition of the brooch is that it has been passed down to the first born female in each generation and worn on her wedding day. 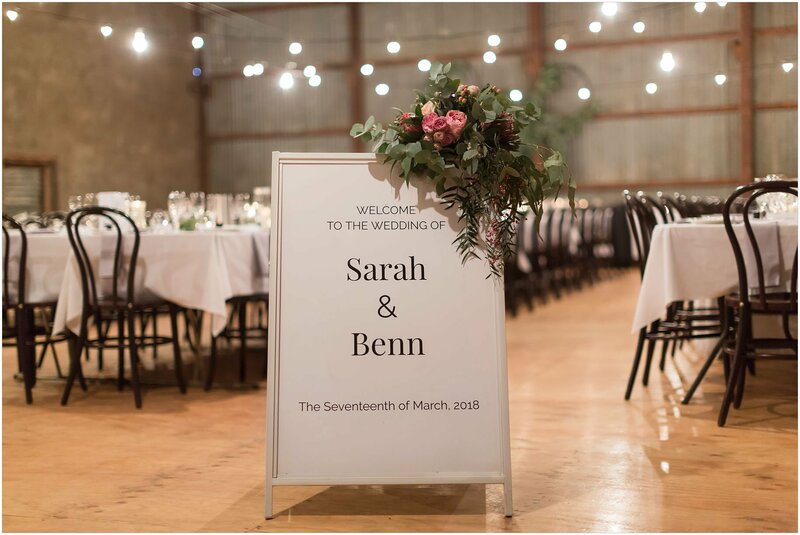 I (Sarah) feel very blessed to be part of this tradition. 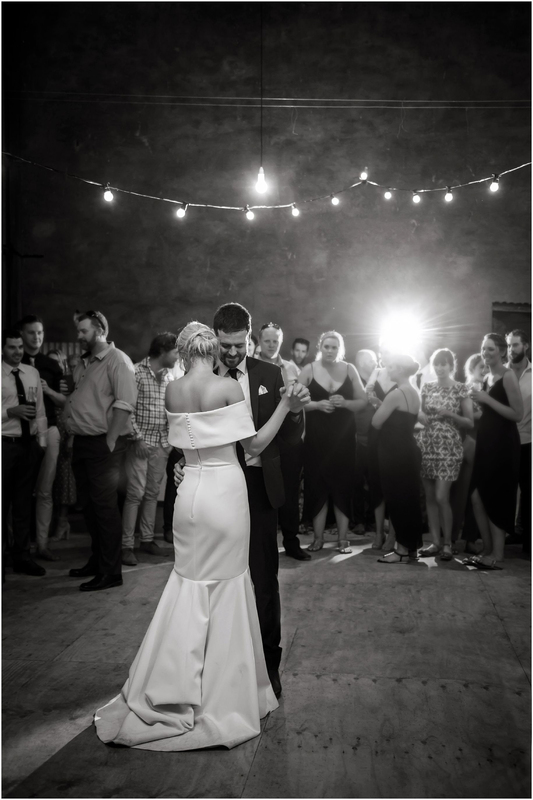 The first dance song is significant as it will be a Frank Sinatra song. 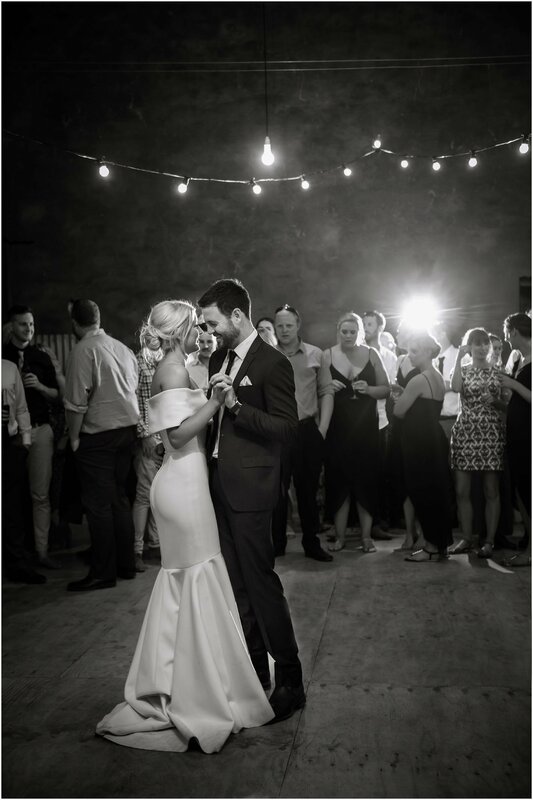 Sarah late Poppa’s favourite singer was Sinatra.